first quarter earnings conference call live on Tuesday, April 23, 2019.
morning of Northern Trust’s first quarter 2019 earnings press release. release will be accessible on Northern Trust’s web site: https://www.northerntrust.com/about-us/investor-relations/financial-information/earnings-releases. and the webcast will be accessible on Northern Trust’s web site: https://www.northerntrust.com/about-us/investor-relations/investor-presentations. 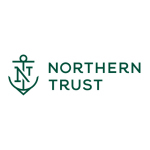 refer to the 2019 Proxy Statement available here: https://www.northerntrust.com/about-us/investor-relations/annual-report. after the date of the event.